In 1970 Laurence McKinney achieved national prominence with a highly praised and nationally adopted substance abuse curriculum. He went on to do the same for the Army and the Navy. An acquaintance of Andrew Weil, McKinney enlisted Lester Grinspoon and others as editors, drawing him into contact with US marijuana researchers in Misssissippi. Contributing to their first paper, he noted that some research procedures matched hashish manufacturing techniques. 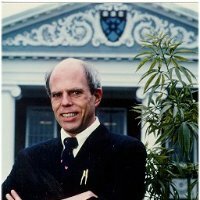 Certain that decarboxylation could improve cannabis, he founded the Cannabis Institute of America to improve and patent the process. The Institute published Cannabis Rx, The Journal of Cannabis Research from 1972-1975. The distinguished editors included noted ethnobotanist Richard Evens Schultes. In 1979, McKinney hired appliance consultant Harvey “Toaster-R-Oven” Levine and they designed the first consumer decarboxylator, the Maximizer. More than 6,000 were sold in ten months before paraphernalia laws shuttered the “head shops”. A pioneering scholar at Babson College, Karl Vesper, wrote a case on the company which is still being taught. 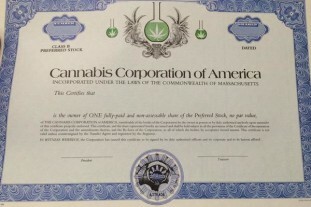 With patent in hand, McKinney formed the Cannabis Corporation of America in 1987 to produce pure THC; it became the only pharmaceutical company testifying at the 1987-89 DEA rescheduling hearings. Despite a team of Arthur D. Little experts and Harvard MBA classmates, the market was too small and the company failed. In 1998, McKinney was contacted by Dr. Geoffrey Guy of GW Pharmaceuticals. In 2014, incorporating McKinney’s now-expired patent, GW raised over $100 million for cannabis pharmaceuticals Sativex and Epidiolex. Unwilling to sit it out, McKinney decided to bring back the Maximizer. When his partner Shanel Lindsay discovered that decarboxylated cannabis was also active sublingually, it opened up more opportunities. After forty five years in the field, he is optimistic about the future.